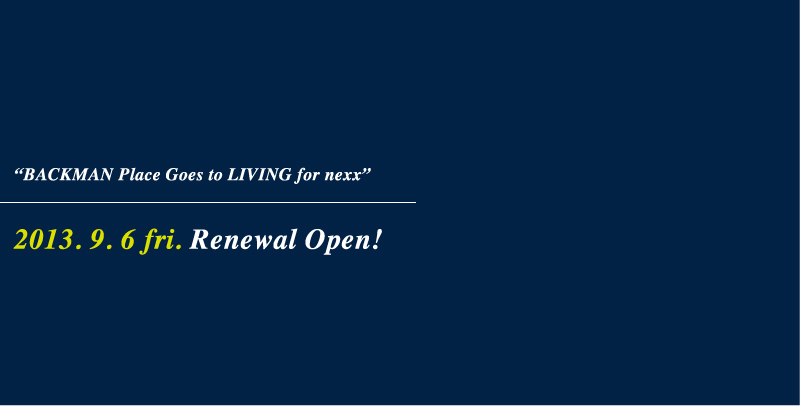 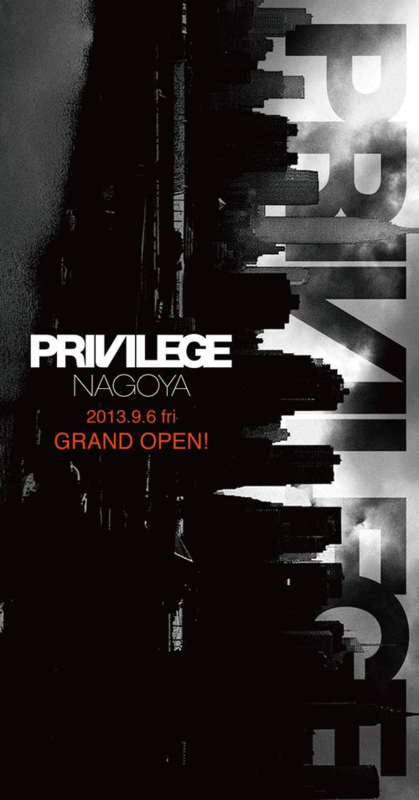 2013.9.6(Fri) "BACKMAN Place" Goes to "LIVING for nexx" リニューアルオープン!!! 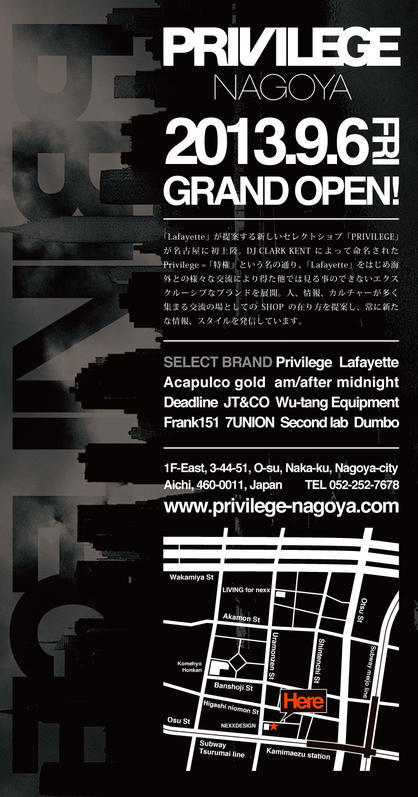 2013.09.06(FRI) "PRIVILEGE NAGOYA" GRAND OPEN!!! 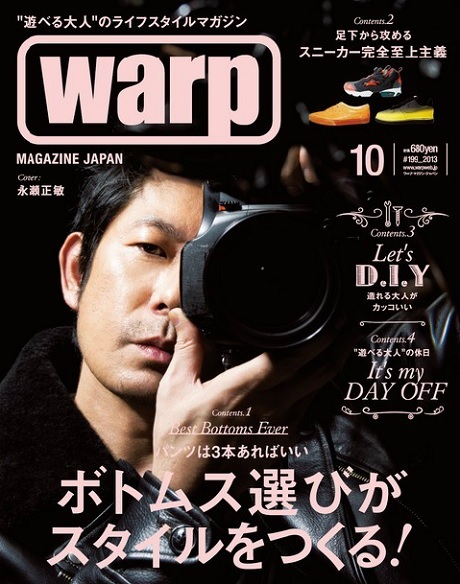 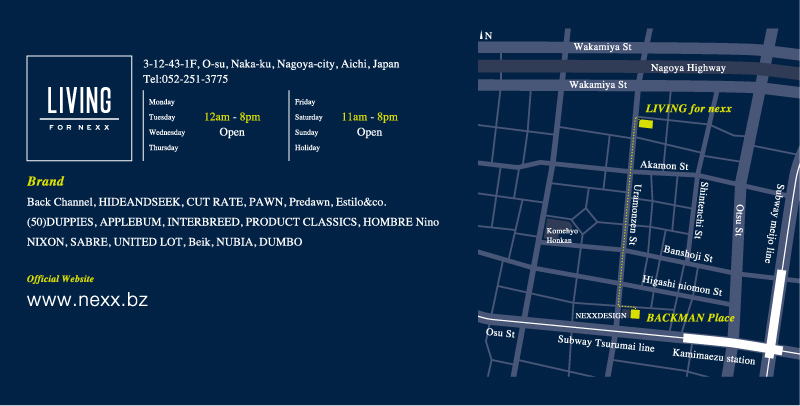 TOPS：【Back Channel】 "PRINT WORK SHIRT"
CAP： 【Back Channel】 "COLLEGE LOGO SNAP BACK"